El?bieta Wo?nicka and Daria Modrzejewska (in the image above) are expert trainers and researchers who work with disabled persons at the University of Humanities and Economics in ?ód? (Akademia Humanistyczno-Ekonomiczna w ?odzi, AHE). Dr El?bieta Wo?nicka is an academic instructor, researcher, and Dean of the Faculty of Educational Science, with broad experience in research projects and EU funded initiatives. Her main areas of expertise are sign language and the challenges faced by disabled persons in general. Her work involves cooperation with support organisations in the region. 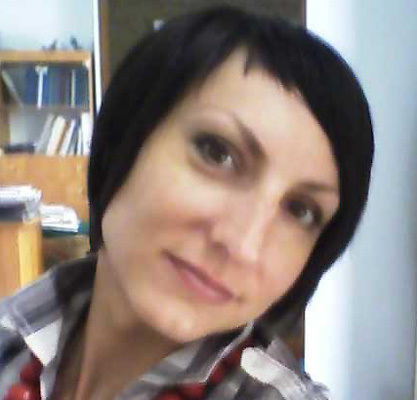 Daria Modrzejewska is a PhD student, instructor and researcher at the faculty of Educational Science. She is an experienced participant of EU funded projects, where she has conducted research, collected information on best practices, and developed curricula and training materials. AHE cooperates with organisations that support the disabled in the Lodz region (Association for the Deaf, Association for the Blind, the City Council Office for the Disabled). Moreover, AHE encourages disabled persons to study and adapts to their specific needs. AHE has established the Polish Virtual University (www.puw.pl) – an online university providing distance learning courses and studies. The PVU is a particularly attractive option to some disabled learners as they can study at home. AHE’s past work with projects encompasses approximately 180 transnational educational projects. Particularly, the experiences gained in Web2See (Lifelong Learning KA3 – ICT project supporting disabled learners) have been extremely valuable. Within the University, the Office for People with Disabilities provides students with help and support adjusted to their specific needs. The Spokesperson of the Office contacts academic staff members to determine suitable and adequate adjustments to students’ study (e.g related to learning difficulties or difficulties in mobility, conditions for exams adjusted to specific needs). There is effective cooperation between the representatives of the office and the professional institutions and organisations that provide support to disabled students.